Enjoy your BBQ the Easy Way! I know that it feels like it is raining all the time but it is not actually. 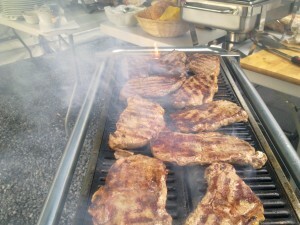 Never mind the weather entertain your guests with a delicious BBQ. Take the Hassle Out of Your BBQ Party! Nini Direct Catering provide BBQ service direct to your event, whether it is a birthday party, casual gathering of friends or a corporate summer BBQ. Check out our range of mouth-watering Steaks, kebabs, burgers and salads. This entry was posted in Blog and tagged BBQ. Bookmark the permalink. Both comments and trackbacks are currently closed.